A pioneer comic artist, James Swinnerton is most often credited in histories of the funnies for things he never did. He never drew anything titled Little Bears and Tigers, and the feature he did draw about bears was not the first newspaper strip. In fact, it wasnt a comic strip at all. A talented artist, Swinnerton did, however, contribute significantly to the development of comics in the more than 60 years he worked as a cartoonist. 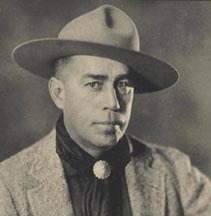 His most successful strip was Little Jimmy, and he's the one who introduced his friend George Herriman to the Arizona desert that became the permanent locale for Krazy Kat. Swinnerton, too, put the desert country to good use in his own work. Impressed by the public response to his work, Swinnerton asked for a raise of $2.50 a week, but the editors didnt feel he was worth the extra money. He quit and headed for New York City, where Hearst had bought the New York Journal in 1895. Hearst was involved in circulation wars with Pulitzer's New York World, and most of the many other local dailies, and one of the results of the battles with Pulitzer was the Sunday comic section. Cartoonists were brought back and forth, and for a time The Yellow Kid ran in both the Journal and the World. Finally, Hearst produced a color comics section. Swinnerton's little bears had always been favorites of Hearst. For the Journal, however, Hearst suggested they be transformed into tigers. Gradually the tigers developed -- from a pantomime strip into a Sunday page complete with dialogue balloons. This version, titled Mr. Jack from 1903 on, dealt with a domesticated tiger that had an office job, a wife, and quite a few lady friends. When comics began to pay off, the Journal decided to let Swinnerton draw them to the exclusion of everything else, which meant the paper needed a new sports cartoonist. Asked to recommend a replacement, Swinnerton said, "Theres a fellow named Dorgan out in San Francisco, calls himself Tad. But if youre going to get him, you'd better send for his friend, Hype Igoe." The paper sent for the pair, and both became successful sports cartoonists and reporters. Swinnerton once estimated he had helped over three dozen artists get started, ranging from illustrators such a Harold Von Schmidt to newspaper cartoonists such as Darrel McClure and Robert Ripley. In the first decade of the century, doctors advised Swinnerton that his days were limited. Resigned, he moved to Arizona to await the end. He kept right on waiting, but he didn't die; instead he fell in love with the desert country. He used the scenery in Canyon Kiddies, a handsome color page he drew for Hearst's Good Housekeeping from the early 1920s to the middle of the 1940s. He didn't relocate the diminutive Jimmy to Navajo country until the late 1920s. The Canyon Kiddies also became frequenters of the strip. Swinnerton started painting desert landscapes, too, and remained a painter even after he was no longer able to cartoon.